Those who are keeping their data center are spending more to cool it. The worldwide market for data center cooling equipment will reach $20 billion by 2024, a massive jump over the $8 billion spent in 2016. That is the finding of a report from Global Market Insights (GMI), which says cooling systems account for approximately 40 percent of the total energy consumption on average. Data center operators have been obsessed with lowering their PUE, or power usage effectiveness, the ratio of power consumed by the hardware to power consumed to cool it. The problem is that while Intel, AMD and the rest of the component vendors obsess over lowering thermals and overall heat generated, the density of these servers is increasing. The average data center cabinet used to be about 10 megawatts. With the rise of high performance computing (HPC), the advent of GPUs and both Intel and AMD going core crazy lately, density is rising. And now you regularly have racks consuming 50 megawatts of power or more, which translates into more heat. CPUs are running hotter, GPUs have always run hot, and two-socket servers now have a dozen or more memory DIMMs, and they generate heat as well. The only hardware going in the opposite direction is storage. The advent of SSDs and the move away from 15,000/10,000 RPM drives has been a big help because SSDs, even running full out, generate hardly any heat at all. So, with server cabinets getting more densely packed, more cooling is needed, although there is a very valid argument that you don’t need to turn your data center into a meat locker. eBay has a much-vaunted data center in Phoenix, a city not known for being cool in the summer, and it doesn’t operate at bone-chilling temperatures. But that’s another debate. GMI noted that the traditional methods, such as hot and cold aisles, are being used in addition to newer methodologies such as liquid cooling. Liquid cooling is popular with hobbyists and overclockers, but data centers have been slower to adopt it for fear of spillage. Then there’s the fact that liquid cooling does cost more than air cooling, depending on how much of it you adopt. That said, GMI expects demand for liquid cooling solutions to see significant growth over the forecast timeline, owing to the usage of advanced coolants, which offers efficient cooling and also minimizes the total carbon footprint. Liquids can deliver much more efficient cooling compared to air and are used in HPC a lot, so that area is set for growth. And subsequently, so is the business of maintenance services. Service providers help in the management of converged infrastructure, physical servers and the storage, which enables reliable and scalable infrastructure for the data availability and performance. The rack/row-based cooling technique now used is expected to see the highest rate of growth due to the ability to provide precise conditions in close proximity, which is targeted at the banks with server cabinets. 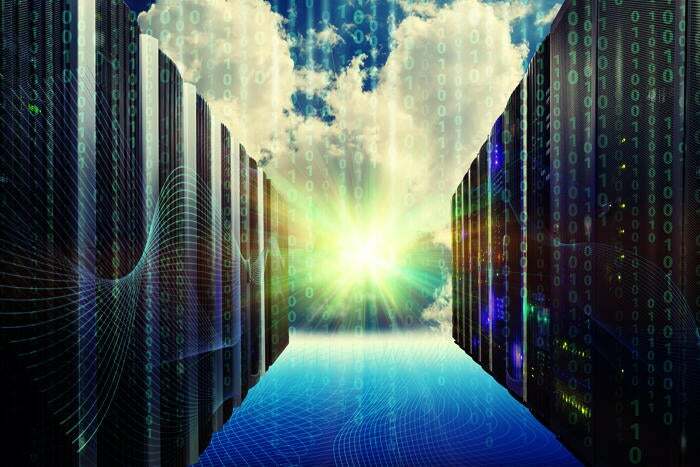 GMI also predicts the IT and telecom end-use vertical will continue to dominate the data center cooling market due to increasing demand for data storage and availability. The growth of endpoint devices like smartphones and IoT devices means more growth in edge networks, which will in turn drive demand for cooling.